Your first job. Your first home. The very first 4-digit pin number you ever choose. Banks play a huge role in our lives. But there’s a lot more to banking than cards, accounts and loans. From capital markets to financial forecasting – futures, derivatives, bonds, stocks and more – learn the skills required to build a successful career in the finance. The key theories, practices and concepts that underpin the banking and finance sector, and the skills required for managing money in an institutional setting. You can see yourself working in a bank or financial institution down the track. It’s also a great knowledge base to have if you’re interested in trading stocks or investing. Our graduates work in roles from banking, insurance, and broking, to fund management, superannuation, accounting, and consulting. You’ll be set to work in almost any industry – it’s a universal skillset that can take you around the world. 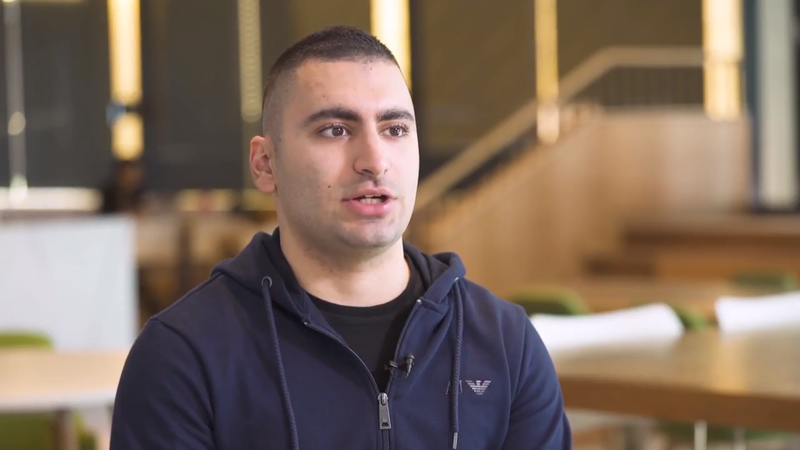 Christian Morina shares the benefits of studying with Monash Business School and tips on how to get the most out of your degree.